A couple of weeks ago, I decided to reduce the amount of unpainted lead that I owned by challenging myself to finish one miniature a day. I was able to keep my streak going for about a week and a half, before the demands of real life took priority again. The first group of miniatures in this post are my wood golems. The ones that I painted (left) are the Large Construct (FGV305) and Medium Construct (FGV303) produced by North Star Military Figures for the Frostgrave game from Osprey. The two other wood golems (right) are the Mage Knight Wood Golem (Rebellion #063) and the Pathfinder Wood Golem (Maze of Death #13). 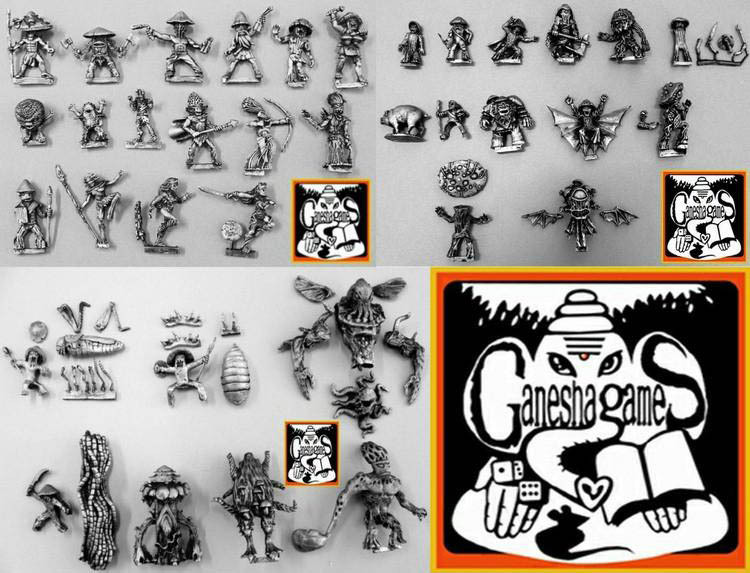 The next group of miniatures that I painted are produced by Alternative Armies for the Fightin' Fungi game from Ganesha Games. 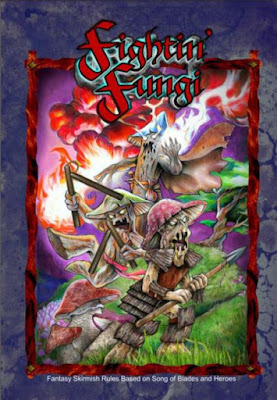 The miniatures (from left to right) are the Master of Mushrooms (FIFU028), Zombie Fungus (FIFU011), Goblin Fungus Zombie (FIFU024), Sporeling (FIFU015), and Puffball Spore Bomb (FIFU032). 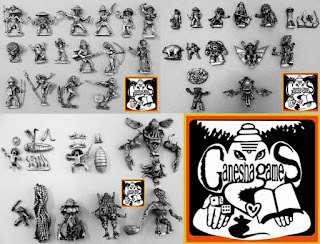 The majority of the miniatures from this line are big, but pretty much any of them can be used for 1/72 fantasy gaming, depending on your tolerances. 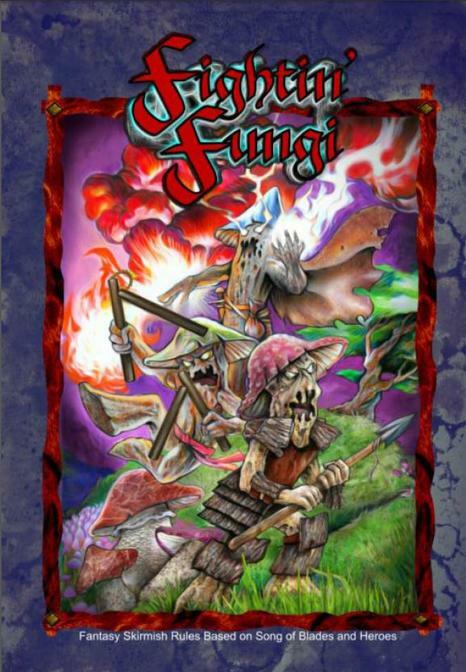 In the future, I might get some more of the small miniatures, and maybe some of the larger fungi without weapons. So you decided to paint them all! huge work mate!! The Ganesha figures are quite nice. Hopefully they will expand on the goblins, which seem to be sized exactly like 1/72 humans. I look forward to seeing how you painted your golems.